Come serve donuts with us! We're currently hiring for several positions at our current location in Springfield (E. Sunshine) and our new location in Ozark. Please fill out the form below and submit. We'll review and be in touch soon! Duties include ringing up sales, boxing donuts, tracking coupons, collecting payment and giving appropriate change. Light janitorial duties are required such as dishes, mopping and cleaning dining area. Part-time and full-time shifts available from 6am – 2pm daily. Responsibilities include making dough, cutting dough, frosting and decorating donuts and other baked items. Must be creative, have an eye for detail, ability to follow a recipe and have problem solving math skills. Light janitorial duties are required such as dishes, mopping and cleaning work area. Part-time and full-time shifts available between: 2am – 10am. Please provide the name of at least one person not related to you whom you have know for at least one year. Our new location in Ozark, MO offers donuts, pastries and locally roasted coffee Wednesday–Sunday from 4am–2pm daily. We’re closed Monday and Tuesday. We frequently sell out, so give us a call to reserve your order today! St. George's Donuts is a locally-owned bakery in the Springfield, MO area offering donuts, pastries and locally roasted coffee. Our donuts, pastries, icing and glaze are handmade (no preservatives), from scratch using only quality ingredients and classic pastry techniques. Just ask around, we're considered one of the best places to experience an old-fashioned cake donut in Southwest Missouri. Oh, and we frequently sell out, so give us a call to reserve your order today! It's no secret the freshest, most delicious baked goods come from high-quality ingredients. 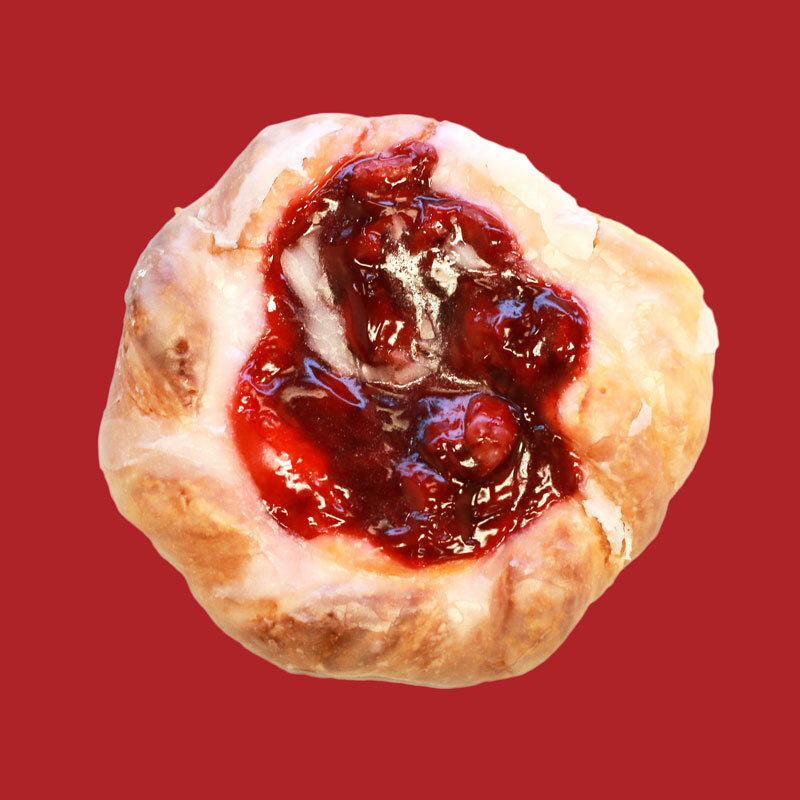 Rest assured, we make all of our donuts and pastries from scratch daily with the highest quality ingredients. Every donut and pastry is made fresh daily along with our specialty St. George's blend Mudhouse Coffee. Our friends at Mudhouse Coffee, a local coffee roaster, created a blend specifically for St. George's Donuts and called it none other than St. George's Blend. Available by the cup or by the pound. You gotta try the rich, yet medium bodied yummy roast! Katy started making donuts in 1959, at the age of 16 in her father’s donut shop in Covina, California. While working there she met the love of her life Charles St. George. They married in 1964 and had the first of six children when Katy was 21. In 1965, Katy was promoted to running a Winchell’s Donut Shop in upland California. A year later at the age of 23, she and Charles bought into the franchise and opened their own store in Pasadena, California. They ran it successfully until 1971, when they decided to sell and move back to Katy’s home town of Springfield, Missouri. There they opened the first St. George’s Donuts, located on the corner of Grand and Glenstone. Katy made donuts in the morning, Charles was a masonry during the day and made sandwiches and tacos in the evening. In 1982, they opened a second store on Scenic and Mt. Vernon. Charles passed not long after in 1985. Later, the stores current brand mascot Charles was created in his memory. Nick, like his brothers literally grew up in the donut shop. He was just 10 days old his first day. In his early years he would help fold donut boxes and wash dishes. At the age of seven his older sister, who was fifteen at the time, taught him how to run the register and count back change. As he grew older, his mom and brothers taught him how to cook and ice the donuts. He's thankful his family taught him how to work hard. “One of the most important rules was to take care of our customers and make sure they leave happy, ” he recalls. Nick continued to work at St. George’s Donuts until into his early twenties, when he decided to become a barber. After 10 years cutting hair, his mom Katy expressed interest in selling the donut shop on East Sunshine to someone outside the family. Nick couldn’t bear the thought of watching her life-long hard work be sold, so he offered to buy and continuing running what she has started.